blog.HalloweenAdventure.com | Latest News from the Costumes Trend FrontLines! 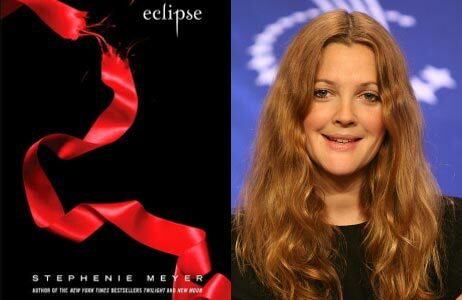 : Drew Barrymore won't direct Eclipse, but the vampires will still come out to play! Drew Barrymore won't direct Eclipse, but the vampires will still come out to play! There’s lots going on the world of Twilight, as Summit Entertainment has officially announced the beginning of production on New Moon. Shooting has commenced in Vancouver, BC and Tuscany, Italy with Kristen Stewart, Robbert Pattinson and Taylor Lautner reprising their roles from the first film. This announcement comes with new video from the set (courtesy of Entertainment Today) and a confirmation that Drew Barrymore will not be the director of the third film in the series, Eclipse. On the possible directorial gig, Barrymore told MTV this: "Oh, I wish that I was! I adore that project and I adore the team that’s making it. And I am very honored to now be a director and going up for other movies and being offered other movies as a director. I’m now an actor/producer/director! How lucky am I! No, we’re not going to do it together." With Barrymore out of the running, the only other firm name we’ve heard is Juan Antonio Bayona, though he hasn’t signed anything as of now. Who would you like to see direct Eclipse? And which movie are you looking forward to more:New Moon or Eclipse? Check out our favorite vampire costumes here!